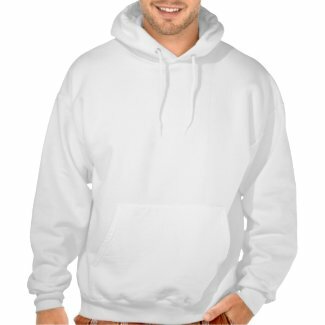 Now that the weather is getting cooler, warm up with our stylish hoodies and show off your awareness colors for causes you support. 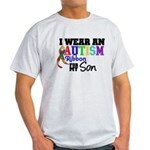 Wearing a ribbon color is cool and shows the world that you care about a cause. 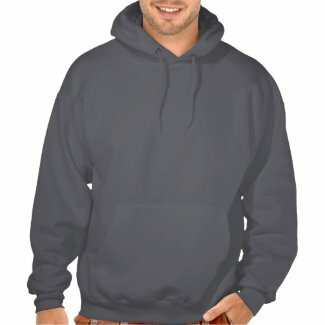 Featured below are a sample of our designs on hoodies for causes such as autism, colon cancer, breast cancer, ovarian cancer, pancreatic cancer, kidney cancer, lymphoma and all cancers. 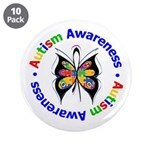 We have a large collection of other ribbon awareness causes on hoodies, apparel and gifts so browse GiftsForAwareness.Com to find your favorite cause. 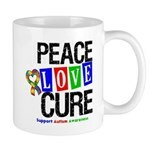 Stay warm, display your activism side and get free shipping on orders $35.00+. 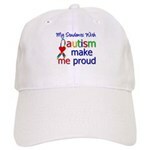 Use Coupon Code HOLIDAYCHEER now through December 10. 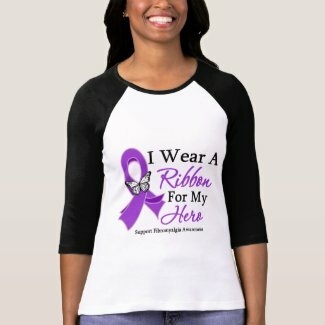 Rally support and advocacy for a family member or friend who has a disease, illness or a cancer diagnosis with our colorful I Wear A Ribbon For My Hero t-shirts and apparel collection. 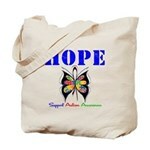 Our line features bright, beautiful ribbons with butterfly art to represent an array of awareness colors for AIDS, ALS, Autism, Brain Cancer, Breast Cancer, Cervical Cancer, Childhood Cancer, Colon Cancer, Esophageal Cancer, Fibromyalgia, Heart Disease, Leukemia, Lung Cancer, Lymphoma, Ovarian Cancer, Pancreatic Cancer, Prostate Cancer and more. 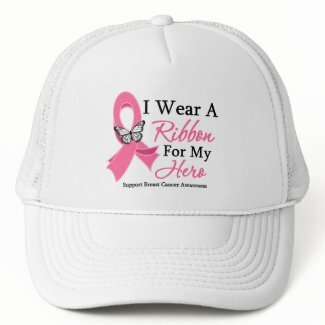 Our designs are featured on t-shirts, raglans, hoodies, buttons, binders, stickers, bags, hats and other unique gifts. 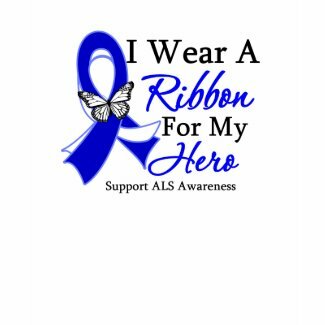 Awareness ribbons are ideal to wear to show your support to a person who needs encouragement during a difficult journey and for advocacy purposes. 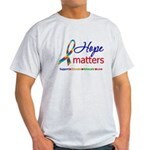 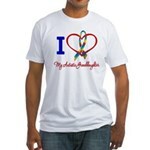 Visit Giftsforawareness.com for an assortment of striking awareness apparel designed to get you noticed. 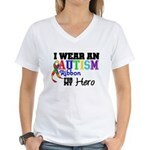 Here’s a preview of our I Wear A Ribbon For My Hero designs on products. 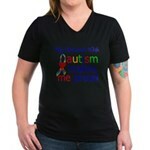 Gifts4Awareness.com is highlighting Autism Awareness Month, which falls every April, by featuring some of its vivid autism awareness collection on shirts, clothing and gifts. 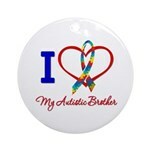 Our shop features autism awareness shirts and apparel in a variety of sizes and styles for men, women, teens and kids including buttons, stickers, mugs, caps, journals, mouse pads, banners, prints and other merchandise. 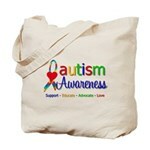 Here’s a sample of our eye-catching autism awareness gear. 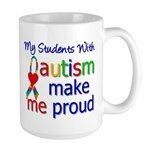 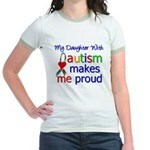 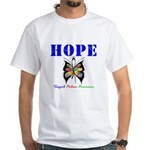 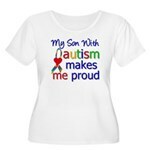 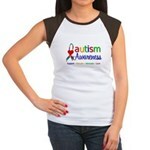 To see our line of autism collection at Cafepress, click here. 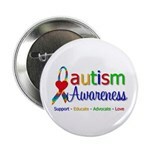 You can also find our products at Zazzle by clicking here.